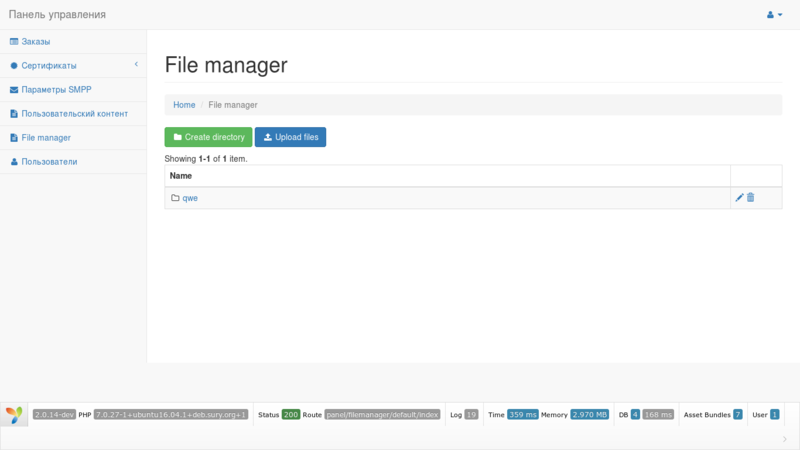 A simple file manager. Having minimal dependencies, but great opportunities for expansion. Do not need a database. Consequently, there are no migrations. Possibility to limit the types of downloaded files through the configuration. Empty files. Basic app template i18n. 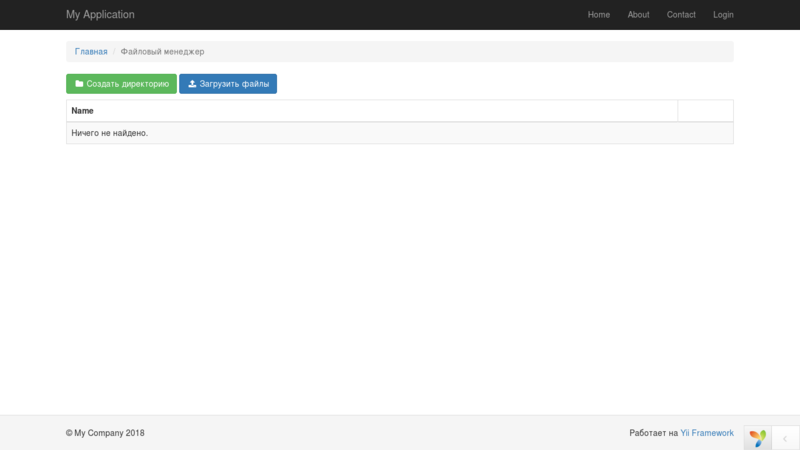 Now, register the module in the configuration of your application. 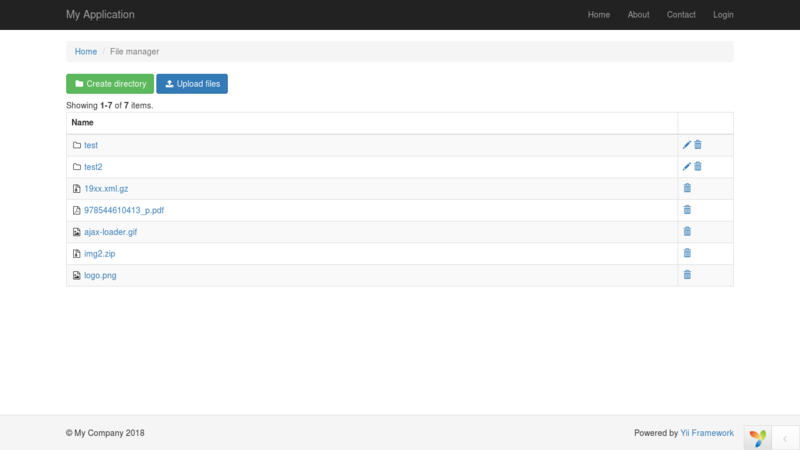 The file manager can be included as a submodule. For example, for your administration panel. To do this, in the method of initializing your module, you need to add an entry that the file manager will connect. With the help of a record as access you can regulate access rights.